LaLonde Aesthetics - Now in Rainbow! Microphototherapy which uses light therapy to noninvasively even skin tone and reduce the signs of aging. Non surgical face lift using microcurrent which immediately tightens and tones. It also stimulates collagen and elastin production for longer lasting results. Deep discounts are offered to all Rainbow residents. Gift certificates are also available as add ons to your flower purchase at The End of the Rainbow flower shop. 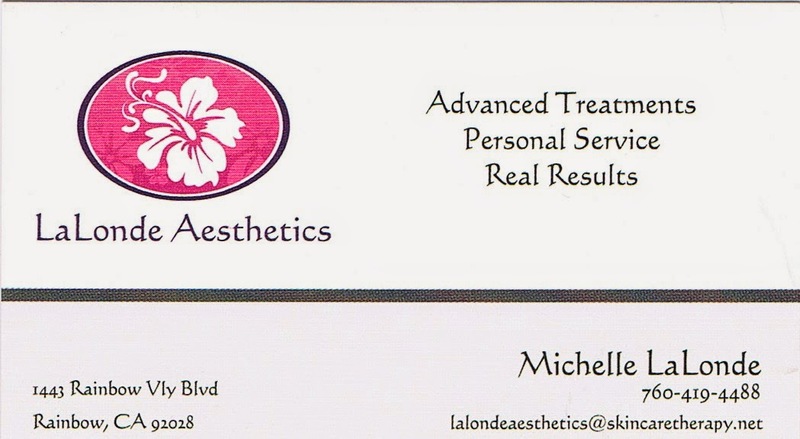 I had the most amazing advanced skin care treatment yesterday. My biggest skin issue is hyper-pigmentation, an unfortunate result of lying in the sun in those younger years not knowing how I would pay for it later. Highlighting make-up and medium coverage foundations have been my only "quick-fix", but I am now doing a series of Microphototherapy sessions to really improve and diminish the splotchy areas on my face.